This course will teach you the basics of still digital photography and how it applies to the work you will perform as a UAS Pilot. A comprehensive understanding of digital photography is imperative to being a successful UAS Pilot. For most work pilots perform, the end result is to capture some form of images or video with a camera. This course provides the core knowledge needed to start taking professional quality photos. 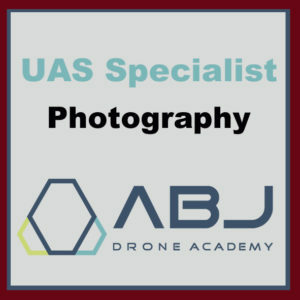 This course is designed for UAS pilots looking to expand their skillset to include professional digital photography. At the end there is a 30 question quiz to test your understanding of the material. Ownership of a drone with an attached / mounted camera is assumed, as well as basic drone flying ability. No prior photography knowledge is required. You will be able to take professional quality images with your UAS. You will understand the principles behind digital photography and you will be able to apply your knowledge to improve photo capture. You will be able to diagnose and fix issues caused by improper settings (ISO, shutter speed, aperture, etc) and environmental conditions, and you will have a better understanding of how to improve your digital photography in general.